I find great freedom in getting to places by foot, bike, or transit. Relying solely on an automobile to leave home would be too constricting, and not an option for healthy enjoyment of my community. While traditional transportation engineering has created many obstacles to non-automobile travel, I am excited to help Alta push the standards to better, more livable street design. Chris Allen holds a BS degree in Civil Engineering from The Pennsylvania State University (2008), as well as a Master of Community Planning from the University of Maryland (2015). With his dual background in both engineering and planning, Chris strives for a comprehensive, multi-disciplinary approach for achieving ideal design solutions. Chris dedicated nine years to site/civil work on major land development projects in the Washington, DC region, where he gained a broad range of experience in road, storm drain, lot grading, stormwater management, and sediment and erosion control design. It was through his work on several transit-oriented residential developments, as well as living among the many walkable neighborhoods of DC, that he fine tuned his interest in Complete Streets. 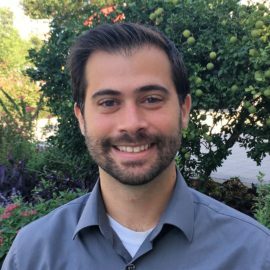 Chris joined the Alta team in 2017 to focus more exclusively on multimodal transportation.